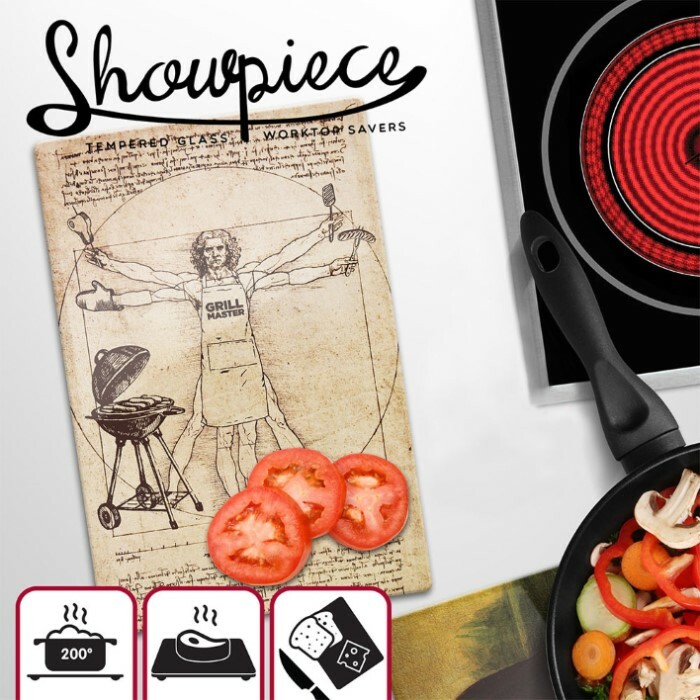 Showpiece Tempered Glass Worktop Saver - Cutting Board | BUDK.com - Knives & Swords At The Lowest Prices! We have rediscovered rare editions of classic artworks by Leonardo Da Vinci. 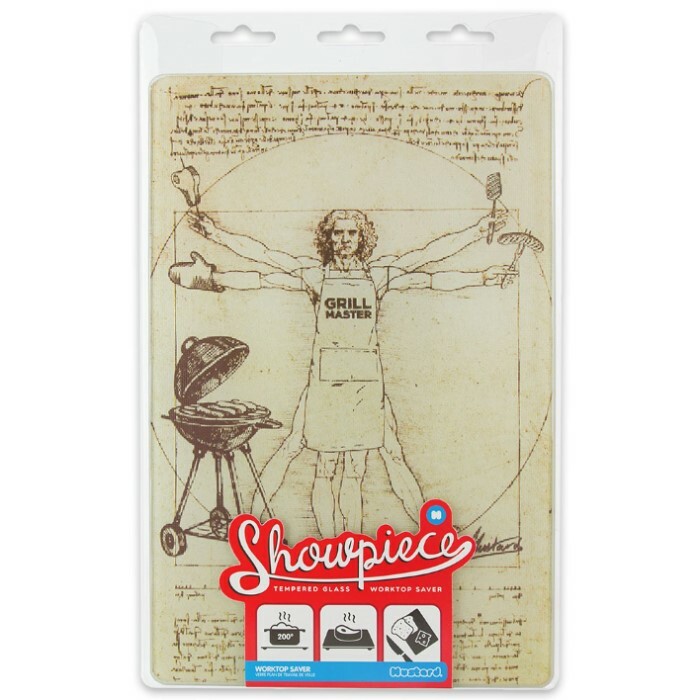 We present BBQ Man! 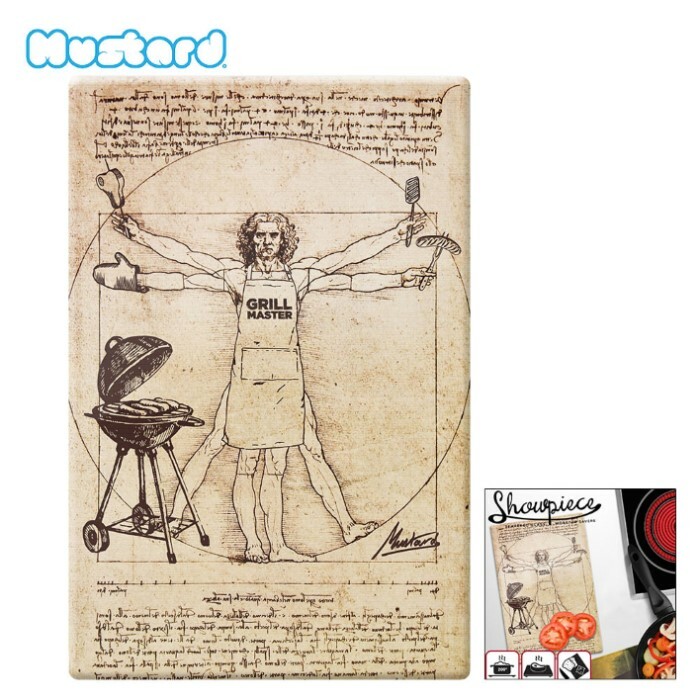 Who knew that Vitruvian Man was a grill master!?! The worktop saver is made from tempered glass and is both stain and odor resistant. The non-slip feet keep it secure on your countertop. It is heat proof up to 200C.